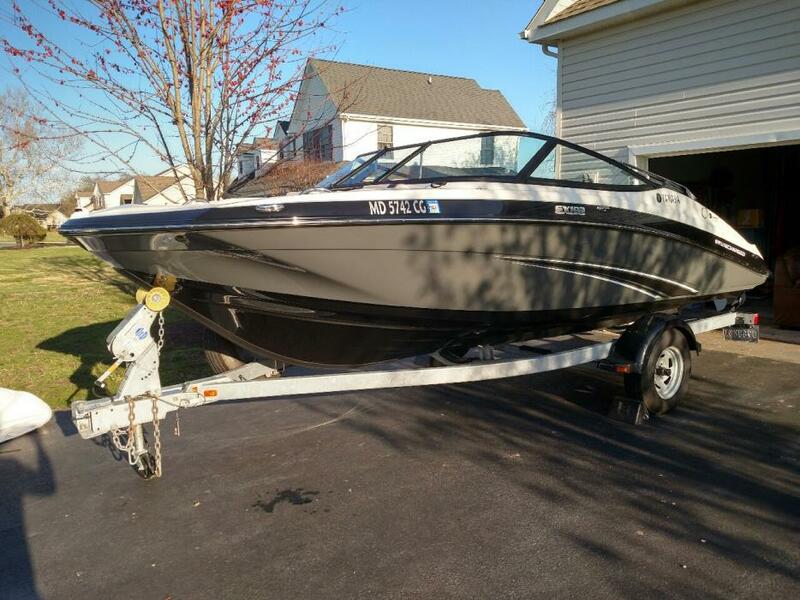 2014 Yamaha SX192, This boat runs and drives great and is in EXCELLENT showroom condition. 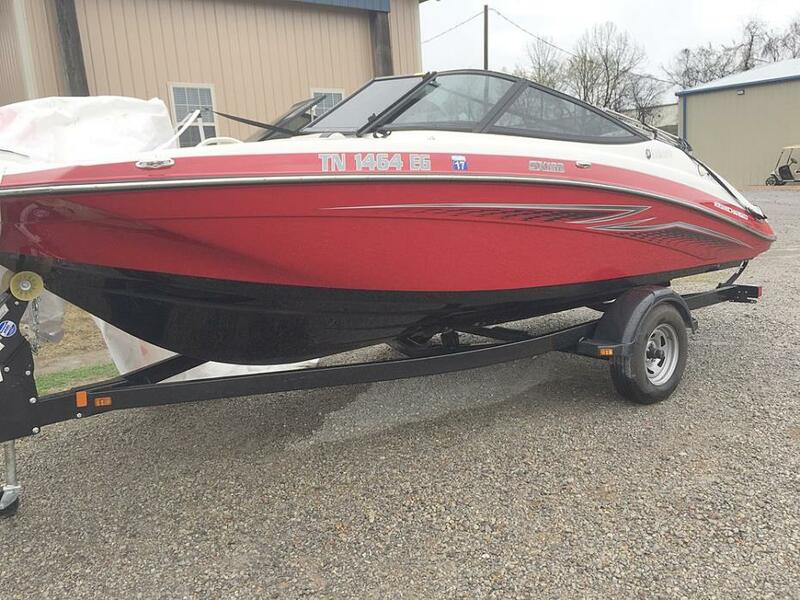 Well taken care of and bought at Anderson Marine, customer bought a 24 foot Yamaha. This boat will not last long. 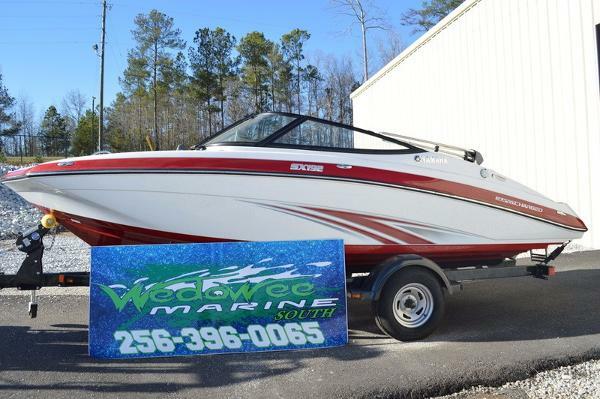 Warranty through April 10th, extendable if purchased before warranty period expires. 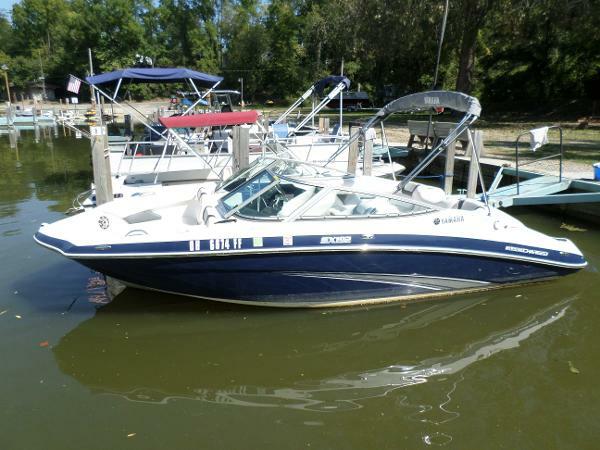 This has a super high output turbo engine, bimini top, stereo upgrade - Polk speakers, swing tongue, removable carpets, travel cover. 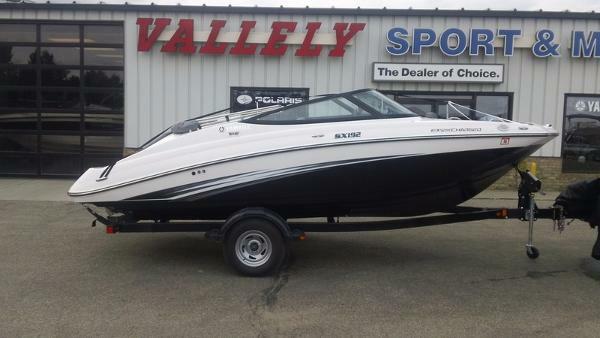 2015 Yamaha SX 192 Super Charged An original owner SX 192 with 5 hours! Absolutely in "new " condition. Priced to sell now! 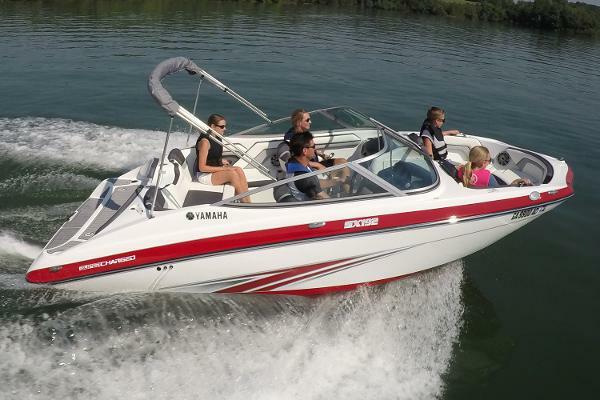 2014 Yamaha SX192 With its Total Package of amenities and supercharged power, Yamaha’s SX192 has become the new industry standard in 19-foot boats. 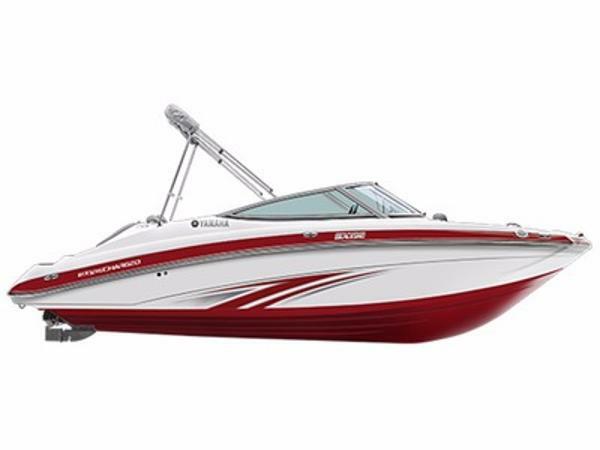 Compact enough to fit in your garage – yet big enough to seat your entire family – this satisfying runabout feels more like a 21-foot boat with its spacious cockpit and expansive swim platform. 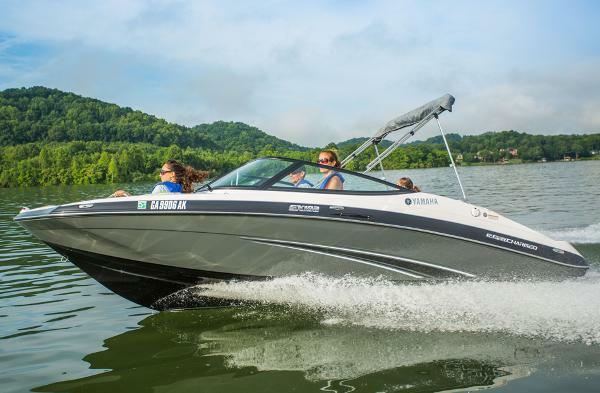 With its supercharged 1.8 liter Super High Output Yamaha Marine engine, the SX192 delivers big performance you won’t find on competing 19-foot boats. 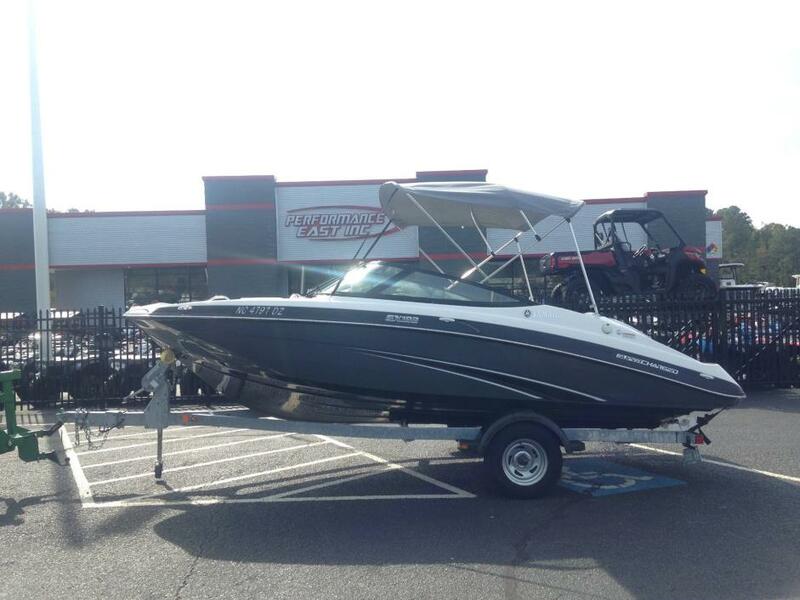 A trailer with swing-away tongue comes standard at no extra cost to make Carbon towing as effortless as owning Yamaha’s SX192. 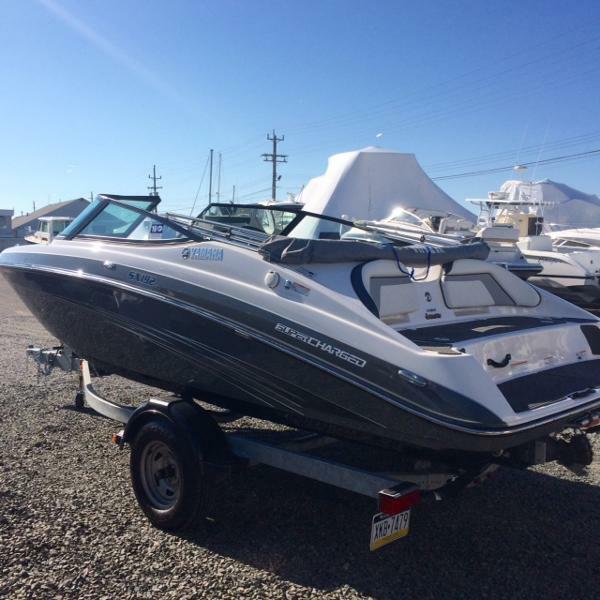 2014 Yamaha SX192 With its Total Package of amenities and supercharged power, Yamahas SX192 has become the new industry standard in 19-foot boats. 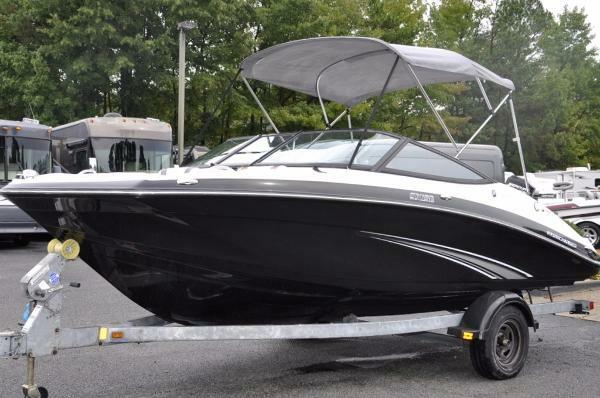 Compact enough to fit in your garage yet big enough to seat your entire family this satisfying runabout feels more like a 21-foot boat with its spacious cockpit and expansive swim platform. 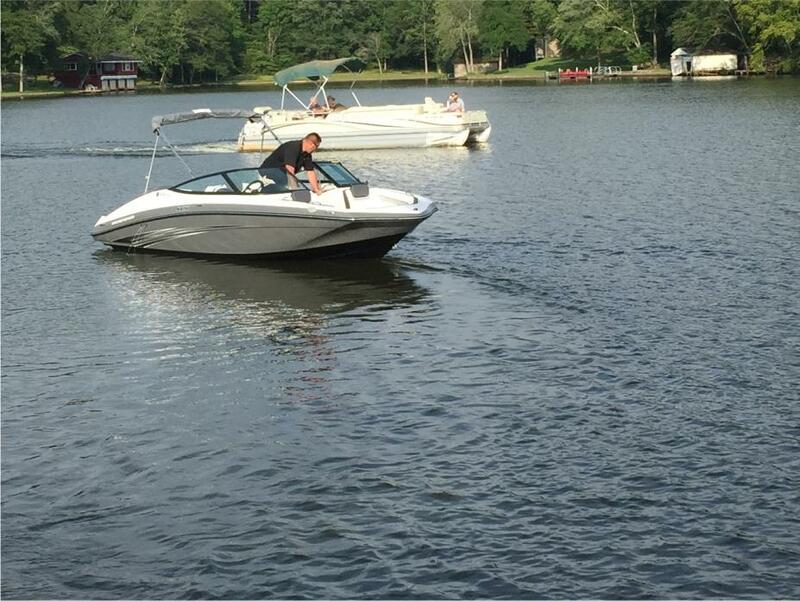 With its supercharged 1.8 liter Super High Output Yamaha Marine engine, the SX192 delivers big performance you wont find on competing 19-foot boats. A trailer with swing-away tongue comes standard at no extra cost to make Carbon towing as effortless as owning Yamahas SX192. 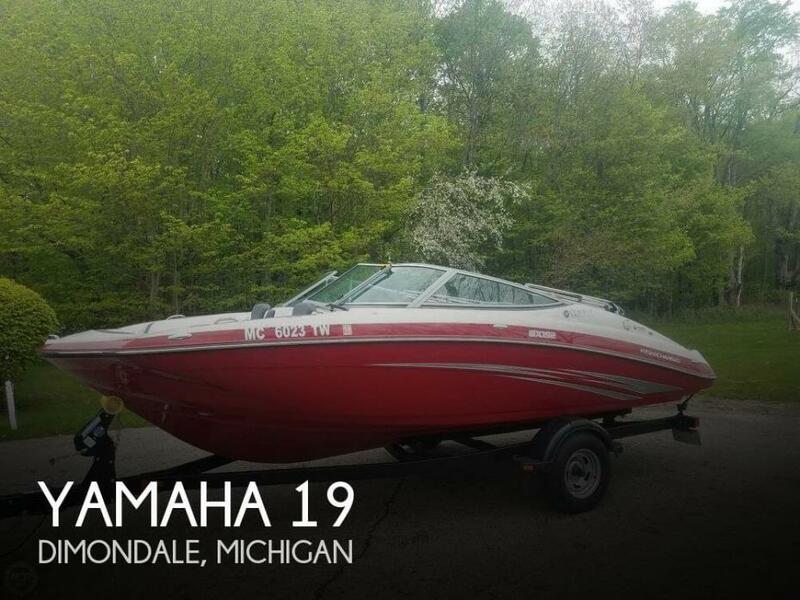 2013 Yamaha SX192 Nice Yamaha with lots of cockpit space interior in very good shape 210 Horse power engine with only 104 Hours on it, has Bimini top, new Sound System, No Wake Cruise Assist (Cruise Control!!! )Swim deck seating for hanging out a the local Sand Bar. Has a spot on the bottom we are getting an estimate to repair!! 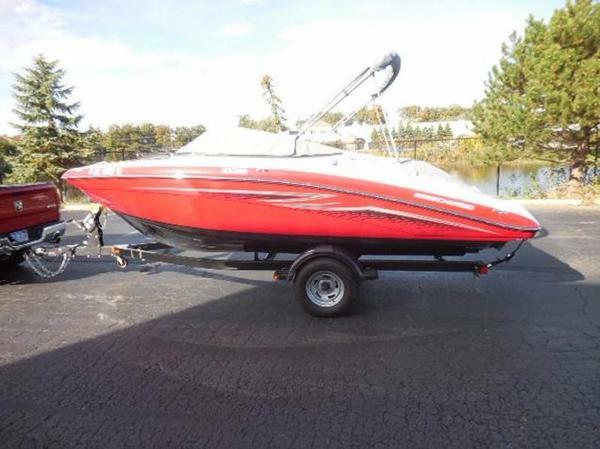 This is a great boat for fall riding!! !